Wax Floor Finish : Why High Gloss, Semi-Gloss or Matte ? A home is more than just a space to live in. It’s an investment and a place that should meet your aesthetic preferences. However, personal taste and style can change over time. The flooring design you chose years ago may not be what you are looking for today. Using a floor wax and sealer, you can easily renew, gloss up, or even tone down how your floor looks to meet your current needs. One common misconception is that if you do not want your floor to have a shiny appearance, then you should not seal or wax the floor. However, using a sealer and or floor wax on waxable floor types such as concrete, tile, linoleum, and laminate is a good idea because it provides an extra layer of durability. The wax acts as a protective coat on the floor, and makes cleaning and maintenance much easier and less expensive. Most hardwood and laminate floors are already sealed, so you only need to apply a wax for those floor types. If you want to change the aesthetic of your floor, then you will have a choice between a high gloss, semi-gloss, satin, or matte finish. Here are some things to keep in mind when considering the different options. Because of their reflective properties, glossy floors work well in darker rooms that don’t receive as much natural sunlight. These floor types tend to simulate the look of marble and other expensive flooring products with a rich wet look. A high gloss finish is very shiny and pronounced. It is often a good choice for luxury offices, studies, churches, ballrooms, gym floors and bowling alleys. However, it does require a bit more cleaning and maintenance because it will show more dust and footprints. 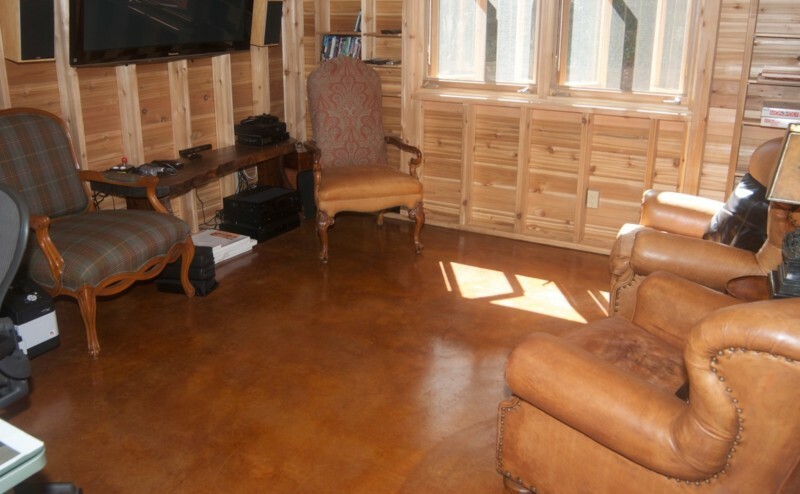 High gloss is the most popular floor finish we see from our customers at Concrete Camouflage and for good reason - many people enjoy the upscale and polished look it provides. A sem-gloss finish is more reflective than satin but has less sheen than a high gloss finish. Semi-gloss is a popular choice, and works well if you want your floor to have some shine but are concerned that a high gloss finish will be too dramatic. A satin finish has the less sheen than a semi-gloss finish, but slightly more shine than matte. The surface is easy to clean and usually lasts longer than semi or high gloss finished floors. A matte finish protects and enhances a floor by offering a natural, understated look while keeping the depth and low luster. It’s a common selection for individuals who do not want their floor to have a shiny appearance as well as outdoor use where they want a more natural matte look. 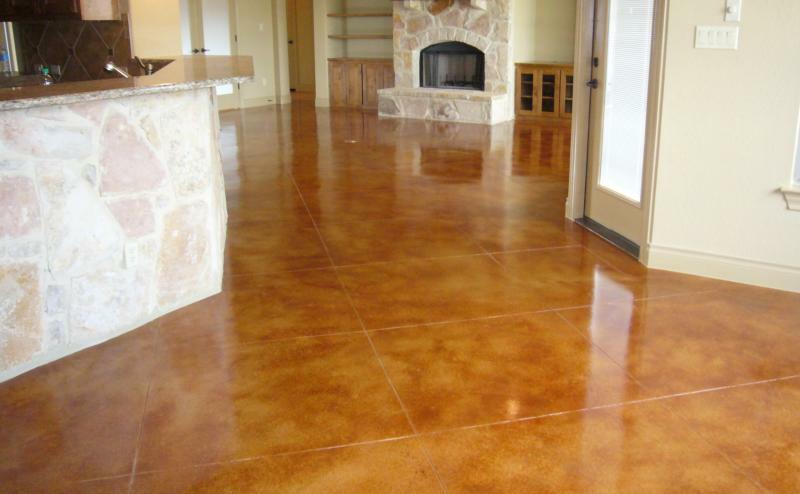 Compared to a glossy finish, matte concrete floors often do a better job of hiding imperfections such as dirt and scuff marks. Which Floor Wax Finish Should I Use? 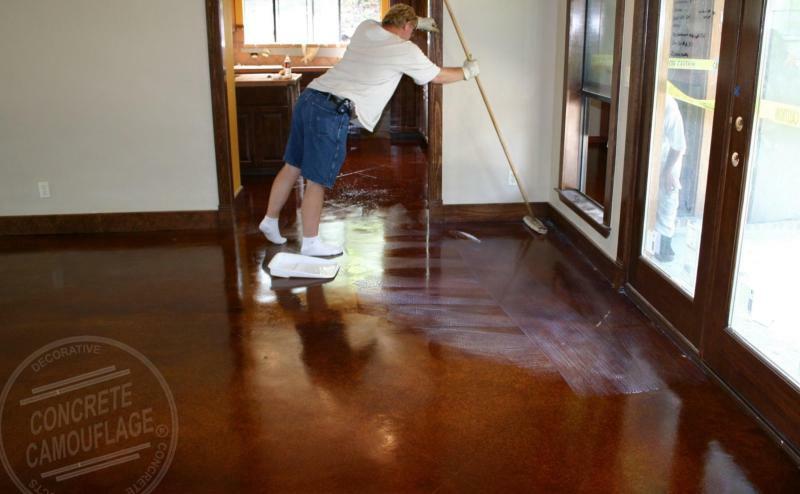 We offer two types of mop on floor waxes at Concrete Camouflage: Gloss Floor Wax and Matte Wax. For both floor waxes, we recommend applying two initial coats of floor wax for standard floors, and three to four coats for homes with active pets and high traffic commercial areas. Then additional single coats can be applied for maintenance as needed. Top Shield High Traffic mop on style floor wax for both Interior and Exterior floors. If you are seeking a high gloss finish, then you will want to use the Top Shield gloss floor wax. 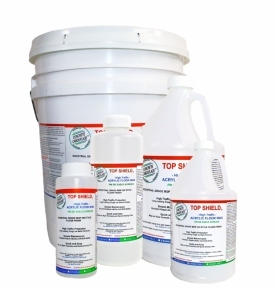 The Top Shield wax makes floors smooth and easy to clean, without the slipperiness usually associated with floor waxes. It is designed with high grade resins, so that it’s durable and long lasting for all floor types. Top Shield lasts approximately 6 to 12 months, depending on how much traffic the area receives. True to its name, our Matte finish floor wax works best for matte floors that have little to no gloss. It’s UV resistant formula provides a durable coat to patios, porches, and walkways while maintaining the floor’s natural appearance. If you want something in-between matte and high gloss, then you can achieve a satin or semi gloss looks by mixing the Matte and Top Shield floor waxes to create your own customized level of gloss. 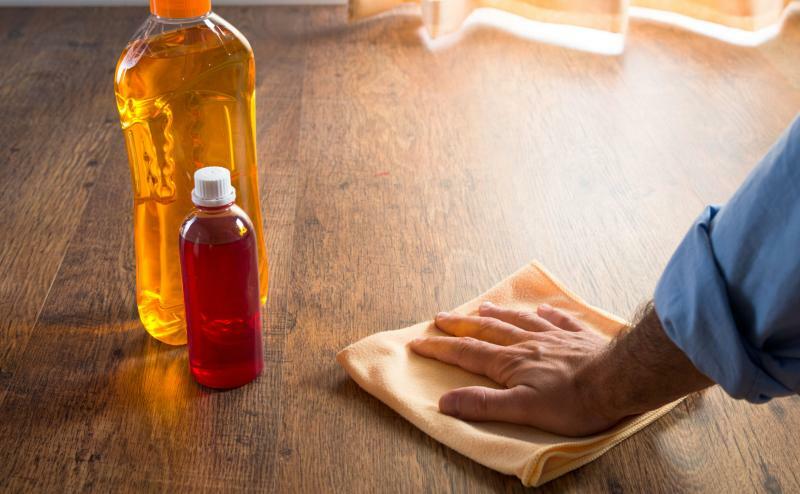 If you are using the Top Shield or Matte floor wax or a combination of both, we recommend applying two initial coats of floor wax for standard floors, and three to four coats for homes with active pets and high traffic commercial areas. Then additional single coats can be applied for maintenance as needed. Whether you have concrete stained floors or another type of floor that can be waxed, the gloss level can be easily changed to meet aesthetic preferences. Choosing between a high gloss, semi-gloss, satin, or matte finish may seem like a difficult decision. However, it doesn’t have to be because it’s simple and inexpensive to adjust the gloss level if you want to make a change to the floor design.